Bathrooms are a haven for harmful molds and bacteria that can cause significant health issues and damages to your house. Bathrooms are often filled with moisture, warmth, and bacteria—all of which make the perfect breeding ground for mold. 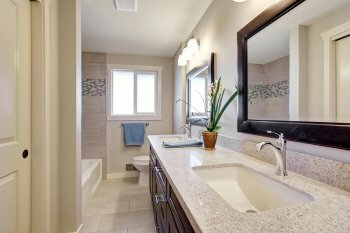 If your bathroom is not a part of your regular house cleaning tasks, then it should be first on the list. As people use your bathroom, they are constantly releasing potentially harmful bacteria in the air. Bacteria can settle on every surface of your bathroom, causing mold, diseases, and other harmful conditions that might affect your family or your home. Ensure your maid service is using efficient cleansers and disinfectants to remove as much bacteria as possible.